For every word, sentence or paragraph — written by Dutch comedian Freek de Jonge for a short political TV-movie — COUP developed a visual concept. 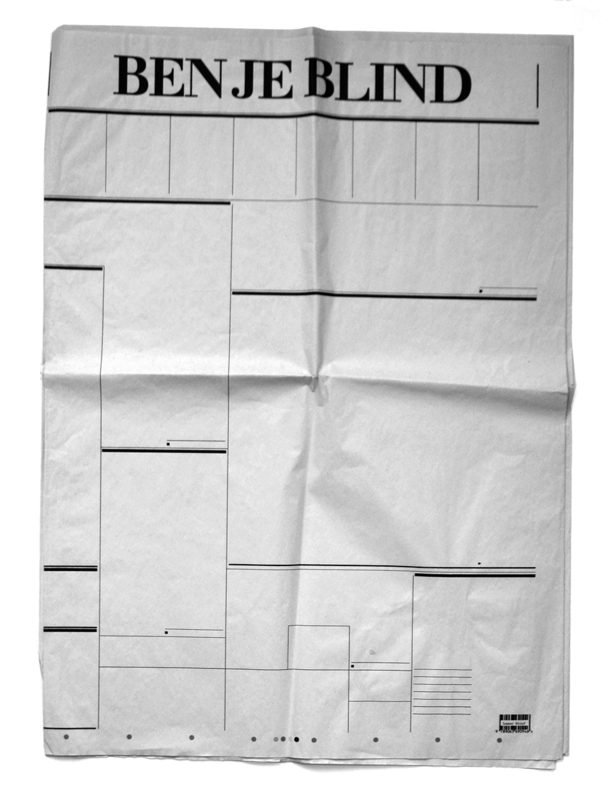 For the phrase “Ben je blind”, a movie scene with an empty newspaper was thought up. The paper was printed at the Volkskrant in a circulation of 1 copy.